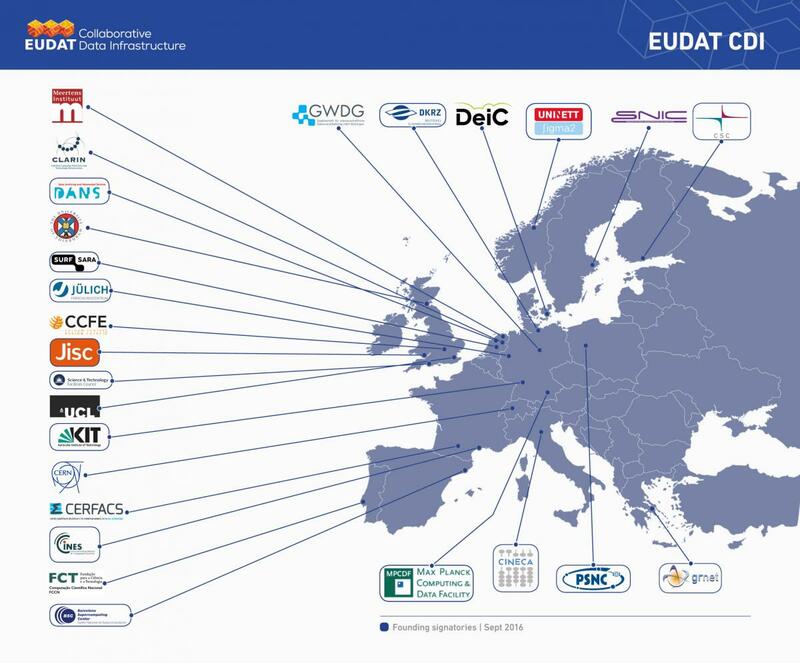 To date, over 20 major European research organisations, data and computing centres have signed an agreement to sustain the EUDAT – pan European collaborative data infrastructure for the next 10 years giving the birth to the EUDAT Collaborative Data Infrastructure (or EUDAT CDI). The EUDAT CDI is essentially a European e-infrastructure of integrated data services and resources to support research. This infrastructure and its services have been developed in close collaboration with over 50 research communities spanning across many different scientific disciplines and involved at all stage of the design process. The establishment of the EUDAT CDI is timely with the imminent realization of the European Open Science Cloud which aims to offer open and seamless services for storage, management, analysis and re-use of research data, across borders and scientific disciplines. More about the EUDAT CDI here. Who's behind the EUDAT CDI? What benefits will the EUDAT CDI bring to researchers? Researchers can rely on innovative data services to support their research collaboration and data management. Additionally they benefit from a common service management framework delivered by CDI service providers and the connection between sites. These service providers are European leaders in the deployment of data management and data infrastructure services. By joining the EUDAT CDI they are able to better serve their local customers across borders and support cross-national collaborations. If you want more information about the EUDAT CDI please contact us now!